This large 1163 sq. ft. 2 bedroom garden apartment in an adult orientated complex would be perfect for a couple down-sizing with a small dog, cat or both. 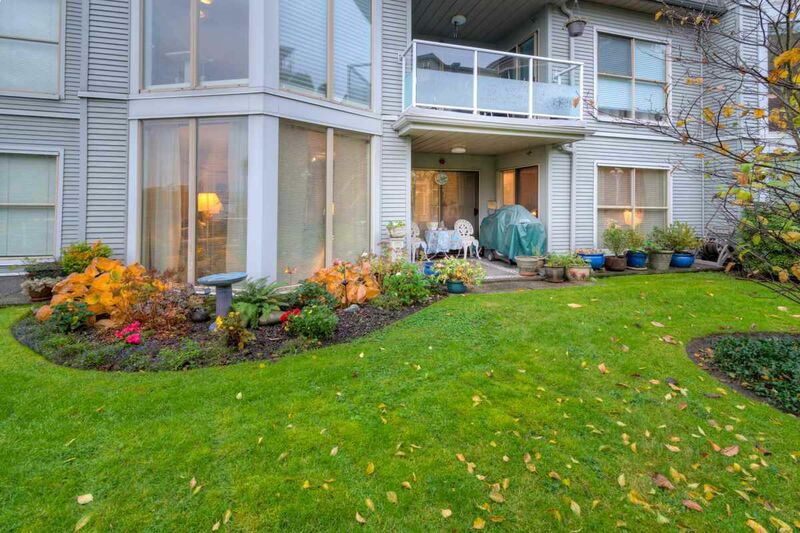 Enjoy planter/pot gardening on the private walk-out patio area with a peak-a-boo view of the Fraser River. New flooring through-out and updated kitchen cabinets. A new high-end gas fireplace with glass and flame feature warms the whole home in winter. Short walk to the new Fraser River Boardwalk that meanders along the river for about a mile. Meet friends at the Castle Pub for a pint at the bottom of the stairs. A no-rental bylaw protects your investment in the building, and an over-19 bylaw policy keeps the building quiet and serene.